Rubin is a graduate of Vassar College in Poughkeepsie, New York; Cornell University in Ithaca, New York; and Georgetown University in Washington, D.C. (George Gamow was her doctoral thesis professor). Since 1965, she has been at the Department of Terrestrial Magnetism, Carnegie Institution of Washington, where she is now a senior fellow. 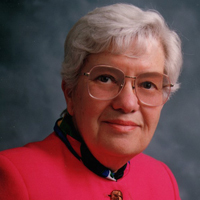 Among the numerous honors she has received are the 1993 National Medal of Science and also the 1996 Gold Medal of the Royal Astronomical Society in London; the first (and last) woman to receive this medal previously had been Caroline Herschel in 1828. Rubin is active in encouraging and supporting women in science. Her husband and their four children are Ph.D. scientists.